12.26 Photographs by Meg Madison, Los Angles, 2005Sq 8vo, 20 recto-only color photo-plates. Cloth with blindtooled leather millimeter edges, onlaid color photo-illus, slipcase with blindtooled leather millimeter edges, new.. Limited Edition of 20 copies only, signed and numbered by the artists. 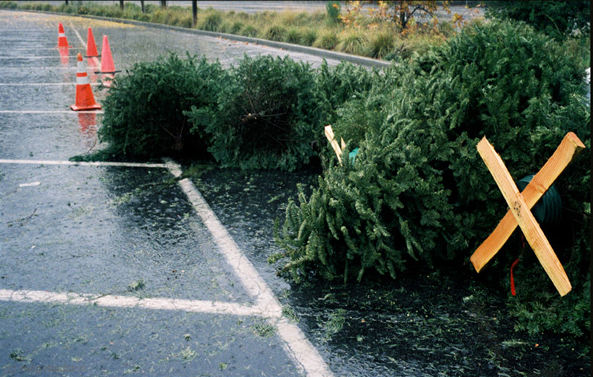 The award-winning photographer's conceptual photo-essay, a serio-comic series depicting the short, lonely and tragic life of post-Christmas Christmas trees. Binding designed and handcrafted by renowned Los Angeles binder Matthews in backed Irish linen with images printed in archival Ultrachrome pigment ink on Hahnemuhle fine art paper. 12.26 Photographs by Meg Madison, Los Angles, 2005 Sq 8vo, 20 recto-only color photo-plates. Cloth with blindtooled leather millimeter edges, onlaid color photo-illus, slipcase with blindtooled leather millimeter edges, new.. Limited Edition of 20 copies only, signed and numbered by the artists. 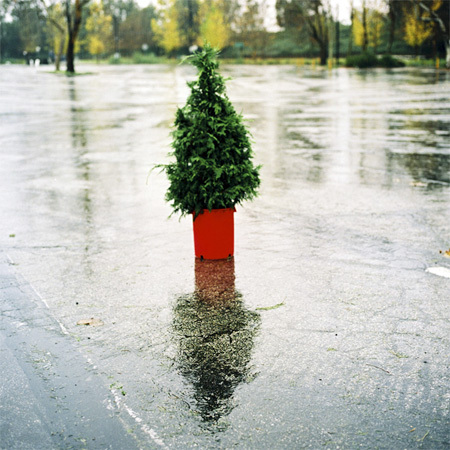 The award-winning photographer's conceptual photo-essay, a serio-comic series depicting the short, lonely and tragic life of post-Christmas Christmas trees. 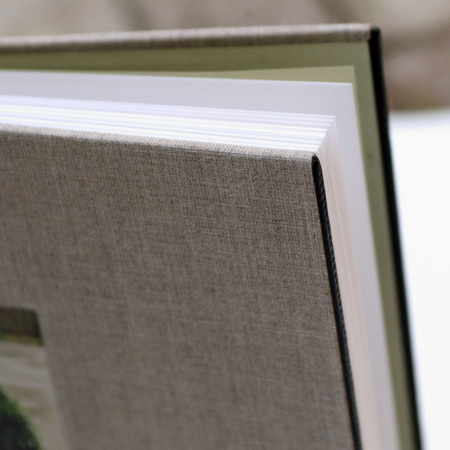 Binding designed and handcrafted by renowned Los Angeles binder Matthews in backed Irish linen with images printed in archival Ultrachrome pigment ink on Hahnemuhle fine art paper. 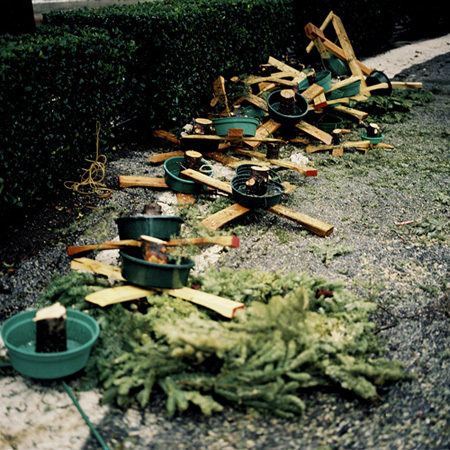 Meg Madison’s conceptual photo essay documents the fate of evergreen trees after the Christmas holiday. The pictures examine this annual ritual as symbolic for aspects of daily life. Madison ponders the transition of a potent sign after its usefulness has passed and it must be disposed. The pictures capture the objects with great compassions, as a symbol of perpetual faith and fertility transforms to a symbol for disposable culture and mass consumerism. 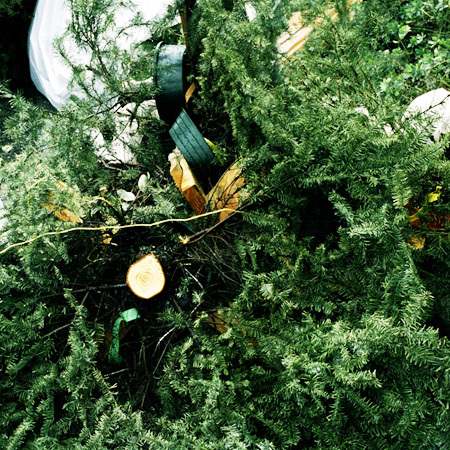 Madison takes the trees out of their usual context by photographing them in the city yards where they are brought to be recycled. In the photographs the once carefully pruned tree becomes one of the hundreds being moved about by heavy machinery and turned into mulch. The photographs are formal, graphic, and the chromomeric printing process faithfully represents the broad range of green hues characteristic of the trees. The vibrant and startling variations in the green unify the images as they are placed with the heavy machinery that will transform this “object” back to organic material.